As you know, we are getting ready for baby chez moi. This has caused us (mainly me) to organize, declutter, rearrange, fluff and generally reevaluate our living situation. I’m having good fun doing this- and all of this housework has caused me to ponder thoughts on how to live well, domestically. That is, after all, what this blog is all about- living well. It is my lifelong, ongoing quest to live well. And as I’ve said before- living well has absolutely nothing to do with money… it’s what you do with what you have. For example, we live in a beautiful Santa Monica town house for which I am extremely grateful. Because we live in this beautiful town house (that comes with a not so beautiful mortgage) we do not have what I would call ‘ideal furniture’. It is a mish mash of items from our past- some of it cohesive, some of it not. 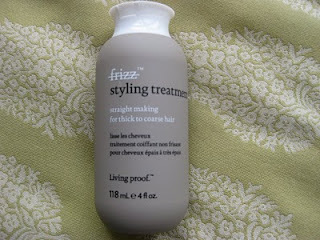 But I have learned to make do with what we have and 'make it work' (as Tim Gunn would say). I constantly remind myself that it is the American in me that wants an entire house full of brand new furniture… it is my French alter ego that reins my greediness in and tells me my furniture is just fine the way it is (but that is another post). I’m looking forward to our journey! It was such a lovely day, we drove with the top down! We had a lovely day that involved buying a ridiculously overpriced pair of trousers at Brunello Cucinelli (note to self, ask the price before walking up to the register!) and as a result had to settle for a less expensive lunch at The Cheesecake Factory- not the chicest place in the world, but it was better than Mc Donalds- which was about all we could afford after the expensive pants debacle! Recently I received an email from Lana, a reader of The Daily Connoisseur. 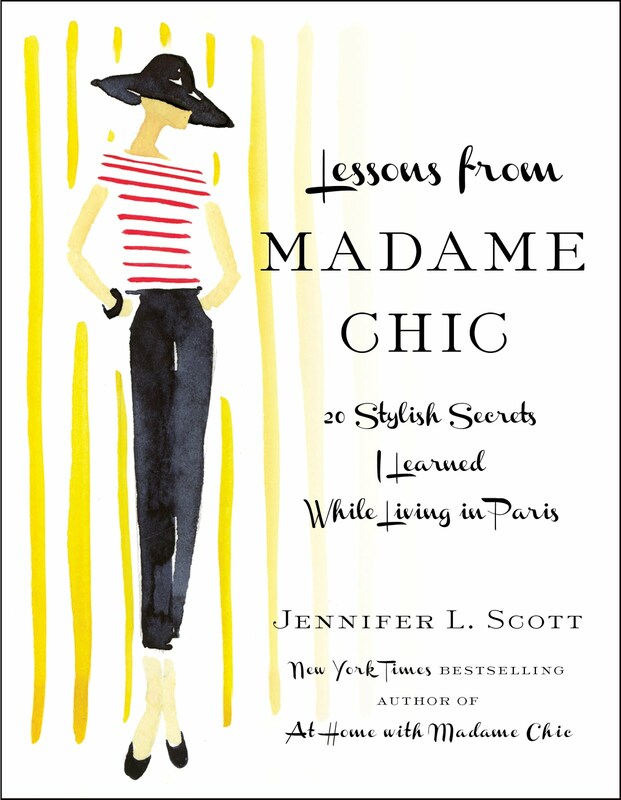 She wanted to know more about Madame Chic’s fashion sense and lifestyle. 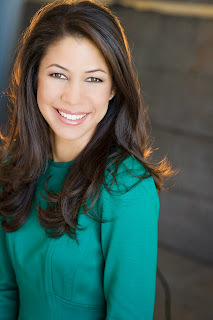 She had such great questions I decided to devote an entire post to the subject and have attempted to answer her questions below. Madame Chic was a Parisian in the most traditional of senses. She was conservative and her style reflected her values gracefully. Madame Chic always wore a skirt. Always. On the coldest of winter days she would wear a skirt. The skirts would always be a-line, in tweed or wool, very sensible and slimming and hit just above the knee. She would pair a beautiful high quality sweater set with her skirts and wore minimal jewelry. 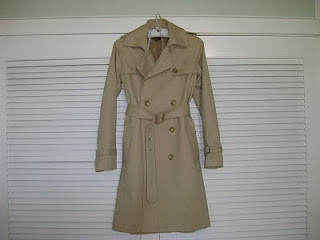 In the winter months she donned a thick, wool coat, as the warmer months approached, she wore a classic trench coat. It was not so much Madame Chic’s style that was extraordinary but the way she wore the clothes she wore. They fit her, flattered her figure and she felt comfortable and beautiful in them. Her portfolio of outfits was not overwhelming. In fact, her closet probably only held ten items. She would wear and repeat the same outfits all the time, but always looked put together... toujours. She did not change her outfit or style when hosting or attending dinner parties, but then again, her everyday clothes were a lot more formal than the average womans'. How did she schedule her days? Madame Chic worked part time and also did a lot of volunteer work. Her work schedule was relatively light which gave her a lot of time to take care of her family- doing the daily shopping, planning and cooking meals, cleaning the apartment (they did not have a cleaner) and preparing a lovely breakfast and delicious supper every night. Sometimes if I had time between classes to venture back home she and I would lunch together. Other days she would have girlfriends over to lunch. Madame Chic also loved chatting on the phone. She always got up before Monsieur Chic at the early hour of 5:30am. After the two of them breakfasted together and after my breakfast was served (a considerable time later), Madame Chic would chat on the phone to friends for twenty minutes to an hour each day. What did she read and listen to? 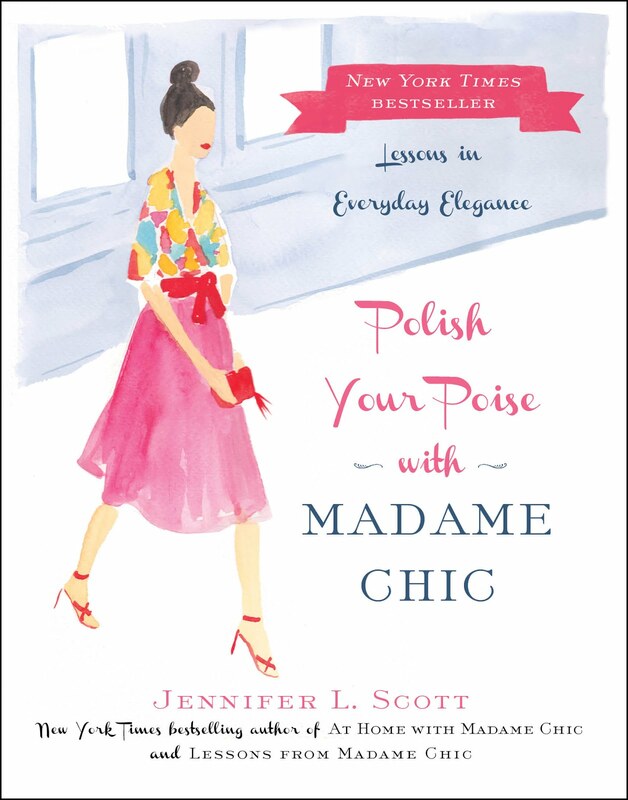 I am not sure what Madame Chic read for pleasure. There was not a bookcase in the main part of the house. I did not see her reading during the day so if she read, it was in the evening, probably before bed. The family did listen to music every evening. They had a vintage record player and after dinner every night (like clockwork) they would put on a record of classical music and sit and listen to it while the men smoked cigarettes. Other than the playing of classical music every evening, Madame Chic did not listen to any music during the day, save for a morning radio show that she promptly turned off as soon as I walked into the kitchen for breakfast. Thank you Lana for your questions. I love getting questions from readers… If you have questions about any of the subjects I write about, please leave them in the comment section or email me and I will do my best to answer them! 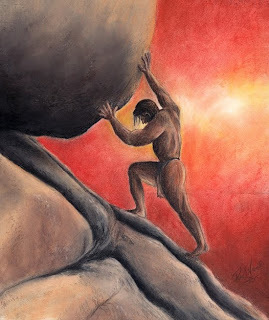 I recently did a post On Why We Are All Sisyphus, where I continued the discussion from Alexander McCall Smith’s book, The Lost Art of Gratitude, about the sad, repetitive nature of certain cyclical tasks. Many of you responded and told me reasons why you are like Sisyphus. I loved your answers… there was talk of blow drying hair, making beds and even mother-in-laws! Primarily, I have noticed that my house is a lot tidier. When the mood strikes me, I love to clean, but this elusive mood does not strike every day. In fact, I generally dread the small tasks- such as cleaning the kitchen every night, sweeping the floor, the constant flow of laundry, etc. The trouble is, when I wake up, and sleepily wander into the kitchen the next morning, I still can’t think of anything more dreadful than clearing it all up! So this past week I have completely cleaned the kitchen every single night. It does not take more than 5 to 10 minutes. Instead of wishing that I was in bed or reading a book I have treated the cleaning of the kitchen as a meditation. I even hum while doing it! And in the morning it feels glorious to walk into a spotless, serene space. I would love to know... how have you been approaching you Sisyphean tasks lately? As I write this I have a volcanic clay mask (by Epicuren) richly slathered on my face. Applying a mask is a ritual I have been doing once (sometimes twice) a week ever since I lived in Paris. Before living in Paris- skin care was not something I paid much attention to. Admittedly I was still very young when I was in France (20 ans) but as far as French women are concerned, you are never too young to start caring for your skin. In Paris there is a salon de beauté on what feels like every corner. Yes, the French are obsessed with beauty but in a different way than Americans. I find that they are happier with the way they look and would rather enhance their beauty than change it with surgery. Characteristics like a prominent nose, a gap between the teeth and/or a petite chest (all things that are desperately sought to be corrected aux États Unis) are actually revered in France. No, the way the French are obsessed with beauty is by taking care of their assets- what they already have- not by trying to alter themselves. Perhaps the biggest asset of the French woman is her skin. Most French women get regular facials and use only the best skin care products they can afford when taking care of their skin at home. It is something that is simply done and not really talked about. Both Madame Chic and Madame Bohemienne had excellent skin. Both were women over 40; both with children. I could probably bet my life that neither of them had Botox or any other form of cosmetic surgery. No, their beautiful complexions were the result of years of ritualistic skin care. 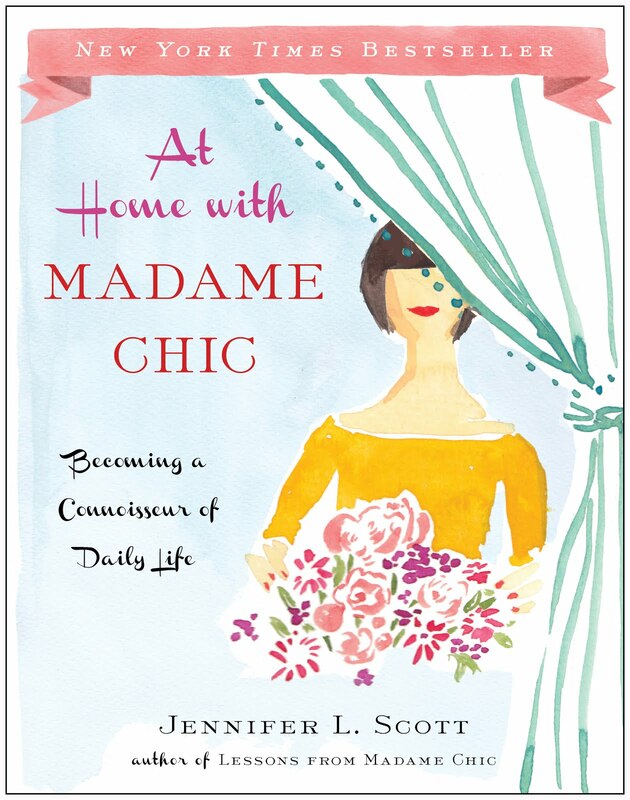 Living with Madame Chic, I was too shy to ask about her skin care routine. The question seemed intrusive- too personal. I instead, became a detective to my curiosity. Because we shared a bathroom, I got a chance to see what sort of products Madame Chic used for her skin: Madame’s regime involved cleanser, toner, rose water and moisturizing cream (I’m sure there was exfoliant as well but alas I did not feel comfortable snooping for it- I am only reporting on what was on the counter- which I consider to be fair game!). And I did note on several occasions in the six months I lived with her that she would occasionally come back from an afternoon out in the city with glowing, complexion- the sort that one gets right after having a facial. When I turned 25 I started to get regular facials. At first (due to my minimal budget) I would get one every two months and as time went on I started to get them every month. After a few years of doing this I can definitely see dramatic improvements in my skin, which has always been rather troublesome. My problems with breakouts and uneven complexion have gone down dramatically, and because my skin is clearer and smoother, I wear less makeup as a result (a must for le no makeup look). I will expound more on the wonders of skin care- Comme les Français in future posts but for now I need to take off my Volcanic Clay Mask. I would love to know… what do you do to take care of your skin? Pictured above are three products I really love: Volcanic Clay Mask, Fine Herbal Scrub and Hydroplus Moisturizer... all by Epicuren. Ok this one was a complete surprise. I recently picked this out as a birthday present for an 18 year old. 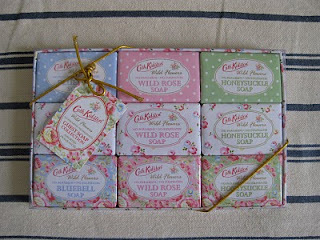 I was drawn to the pretty packaging (it would look so pretty on a dressing table, wouldn’t it?) and tried a sample on my skin just to make sure the scent was nice and that it was of high quality. I’m not sure what I was expecting (something fruity and unsophisticated perhaps?) but I was pleasantly surprised! 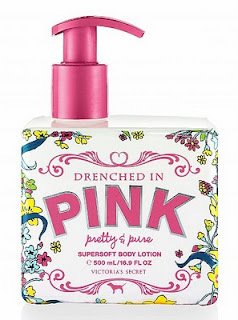 This body lotion is delightful and the scent- pure jasmine and pink lemonade- is actually quite good... I kept sniffing my arm throughout the day, impressed with the subtle scent’s staying power. I have been unable to wear my favorite perfumes recently (as I am nearing the fifth month of pregnancy and have an aversion to strong scents) but this is one that I can live with. So I will be returning to Victoria’s Secret to purchase a pretty bottle of my own. Who knew?